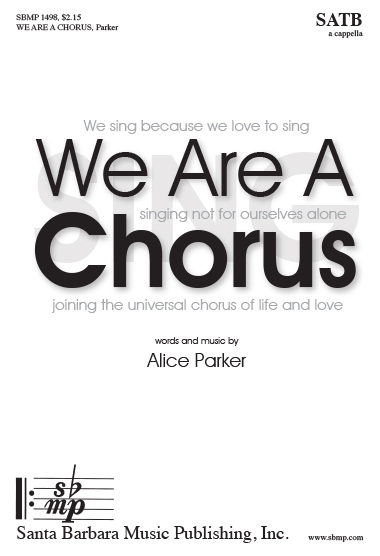 We Are A Chorus, Alice Parker | Santa Barbara Music Publishing, Inc. This is a fun, upbeat piece not to be missed. The legendary composer wrote both the text and the music. It will be a stunning opener for a concert or it could make a great encore. joining the universal chorus of life and love. joining with us in the universal chorus of life and love.